In 1614, Smith mapped the Isles of Shoals and Named "New England"
RYE, NH — To commemorate Captain John Smith’s historic 1614 expedition and 400th anniversary of the first mapping of the Isles of Shoals, a public-private partnership is erecting a granite obelisk and granite benches at Rye Harbor State Park on Ragged Neck Point in Rye, New Hampshire. 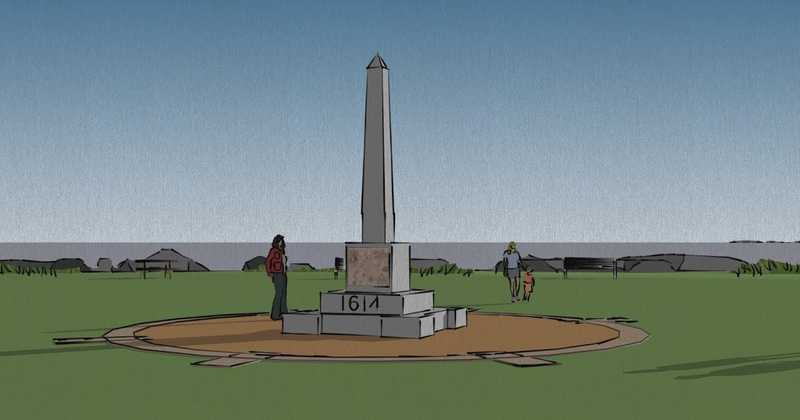 The monument, with a view out to the Isles of Shoals, will be dedicated on Thursday, August 14, 2014, at 10:30 a.m. This is the third obelisk to be erected on an anniversary date of the 1614 voyage. On Star Island in 1864 a monument was built to honor John Smith, and in 1914 a 46.5-foot monument was dedicated to Reverend John Tucke. 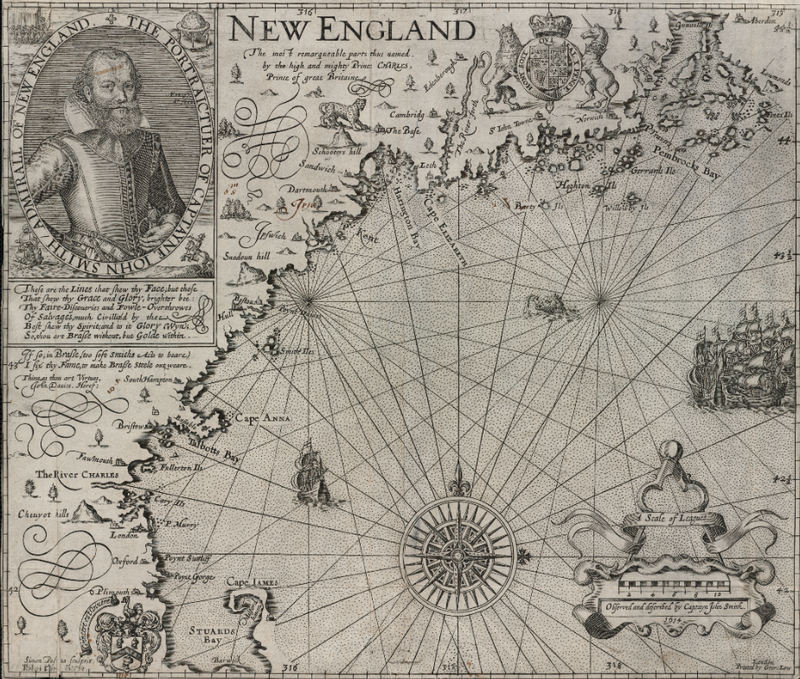 John Smith’s map and widely read book “A Description of New England” detailed the region’s teeming fishing banks, abundant game, clean rivers, vast forests and native people. The book had a major influence in the subsequent wave of English migration to these shores. The map guided the Pilgrims to Plymouth, Massachusetts in 1620 and led John Winthrop to the The Charles River and the founding of Boston in 1630. The New Hampshire legislature authorized in the 2013 capital budget funds up to a maximum of $40,000 to be matched by private funds. Additionally four benches at the monument site have been generously sponsored in honor of family members. 1614 Monument, Ragged Neck, Rye Habor State Park, Rye, NH 03870. Click to find on Google Maps.